View More In Game Tracking & Trail Monitoring. The Cuddeback Long Range IR, model 1224 delivers superior performance at a great price. The Long Range IR features Cuddeback's world's fastest 1/4 second trigger speed which means you'll get more images with animals and fewer blanks. 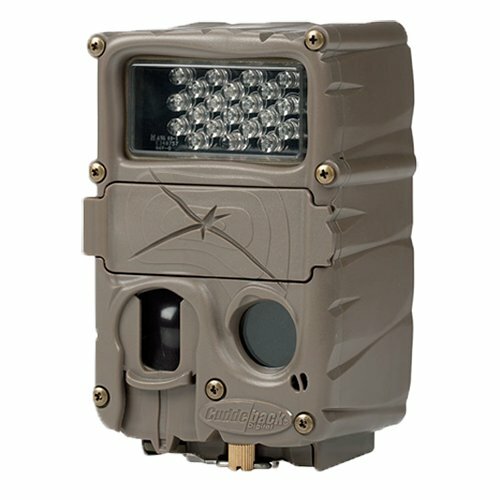 This Cuddeback Long Range IR provides 20MP photos that are crystal clear, and can record up to 30 second videos with sound. The IR LEDs illuminate up to 100 ft. which means you'll get superior IR image quality and images that are correctly exposed and stunningly clear with minimal motion blur. On top of performance, the Long Range IR offers many more features such as Zone Control, separate day/night delays, fully customizable time lapse, burst mode, and many more! Uses 8 AA batteries (not included) and accepts up to 32 GB SD Card (not included). 2 year warranty when registered online within 2 weeks of activation. If you have any questions about this product by Cuddeback, contact us by completing and submitting the form below. If you are looking for a specif part number, please include it with your message.